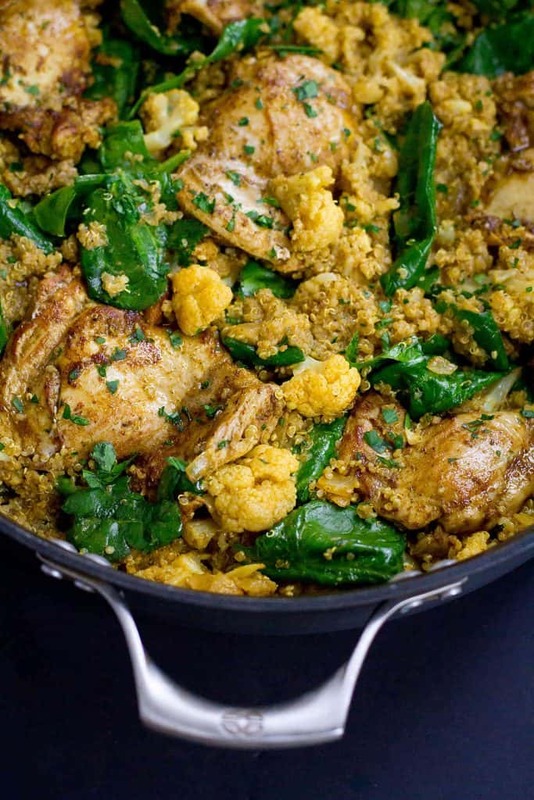 Flavor is the name of the game in this healthy one-pot curry chicken, quinoa and cauliflower recipe that’s packed with veggies and goodness! 308 calories and 7 Weight Watchers Freestyle SP. 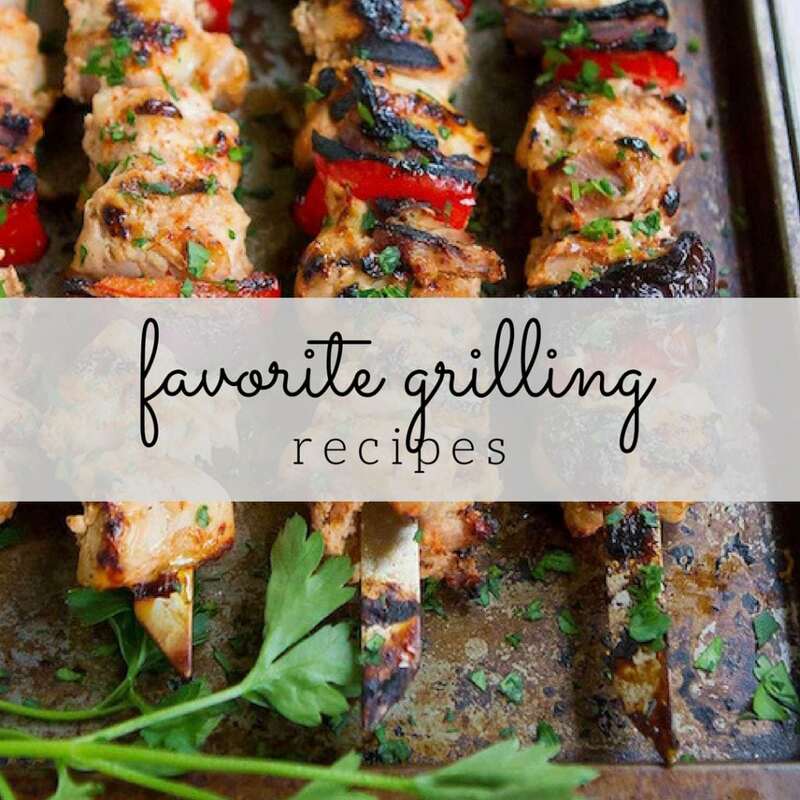 Thank you to Bob’s Red Mill for helping me share this recipe with you. I don’t remember exactly when I first fell in quinoa love, but I do recall falling in even deeper when I first realized that it could be cooked in only 20 minutes. It was full-on head-over-heels infatuation when I learned How to Freeze Quinoa. That meant I could keep packages of precooked quinoa in my freezer and stick it in the microwave for a one-minute speedy, healthy side dish. Not only is quinoa dead simple to prepare, but it’s also filled with nutrients (plus, it’s gluten free). If you’ve been following along the past few weeks, you know that I challenged you to #VegItUp with me. Each day, we’re adding in one extra serving of veggies. It’s one simple change that can make a world of difference to your diet. 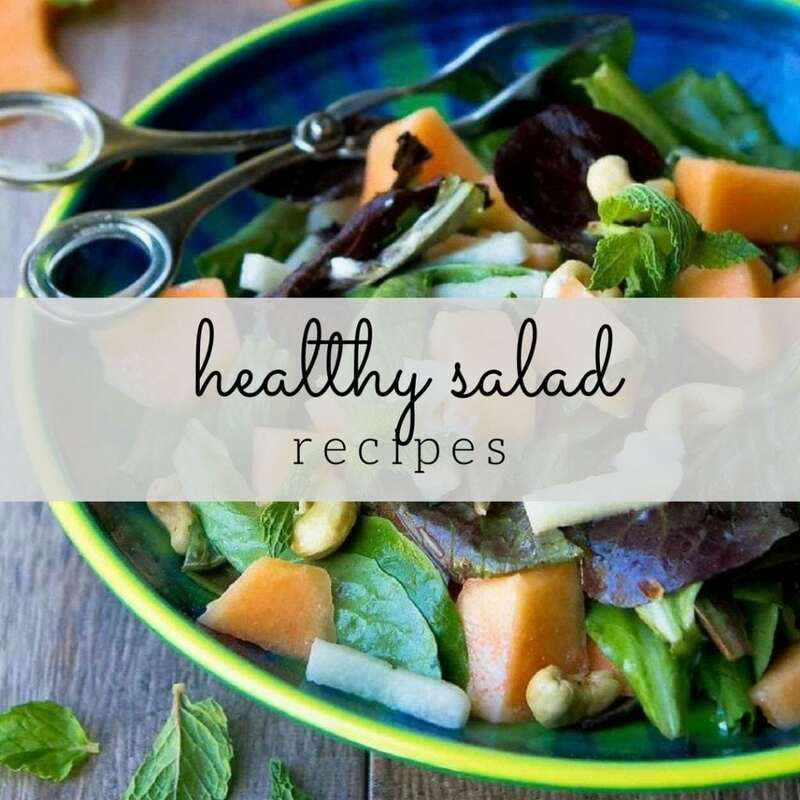 Eat a side salad with lunch, munch on some raw veggies, stir a handful or two of spinach into your soup. There are so many ways to #VegItUp! 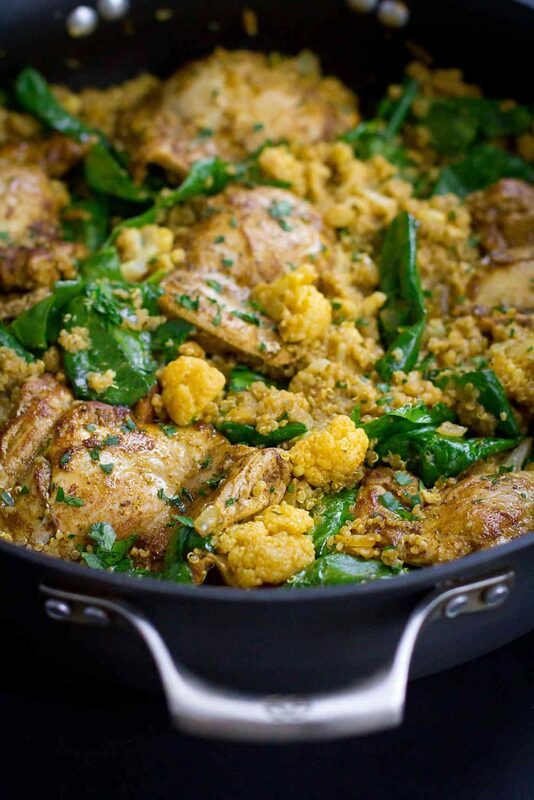 Over the next few weeks, I’ll be showing you how to #VegItUp with whole grain dishes, such as this one-pot curry chicken, quinoa and cauliflower dinner recipe. Cauliflower, spinach, onion and garlic are all packed into this one meal and they each boast their own set of nutrients, from fiber and Vitamin C to folate and potassium. The beauty of whole grains such as farro, brown rice and barley is that they act either as a neutral pallet for side dishes and salads, or they can be stirred into soups and stews. Either way, they add heartiness, nuttiness and a big dose of fiber. 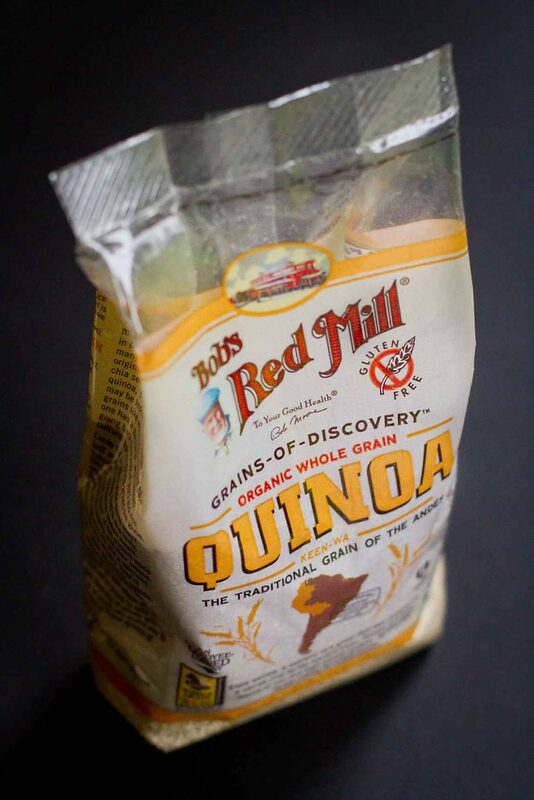 If you’ve walked down the rice, baking or cereal aisles of your local grocery store lately, chances are that you’ve already discovered Bob’s Red Mill. They make almost every type of whole grain that you can think of, and I regularly pick up a bag of their organic quinoa when I’m shopping for my family. While you’re there, take a walk over to the international aisle and grab a jar of mild curry paste, which you can use in this one-pot curry chicken recipe, as well as my favorite Slow Cooker Vegetable Curry or Curry Simmered Brussels Sprouts. More opportunities to #VegItUp! 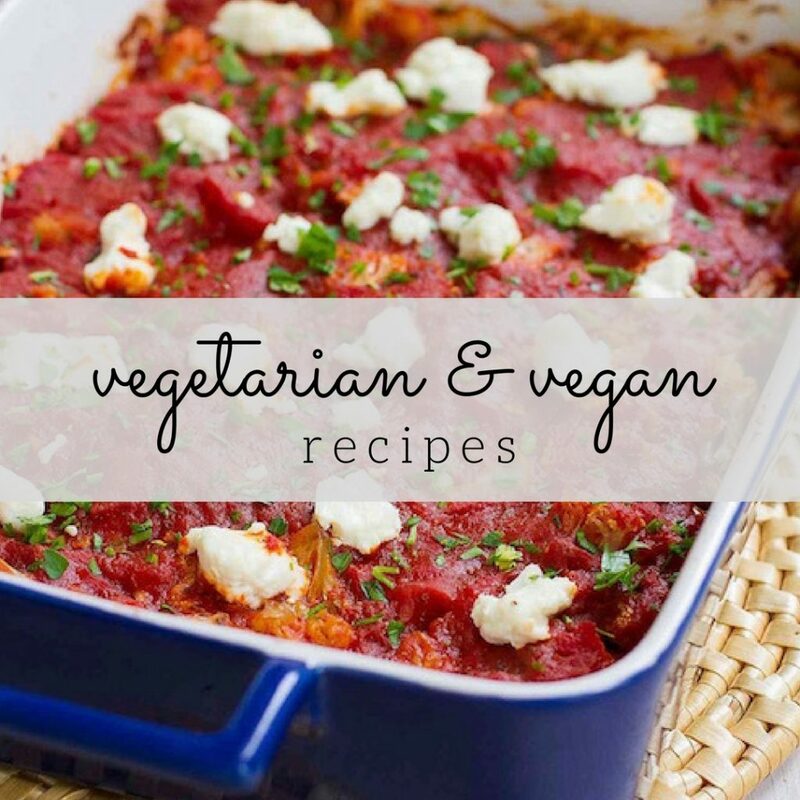 I’m so excited to see how many of you are working to #VegItUp with me! Thank you for the emails and photos you’ve been sending! The goal? To add one extra serving of veggies to your diet each day. Let’s see those Instagram photos and tweets, tagging with #VegItUp! In a medium bowl, toss the chicken with 1 tablespoon curry paste, and season with salt and pepper. Heat 1 teaspoon olive in a large nonstick skillet set over medium-high heat. Add the chicken and cook until starting to brown, 2 minutes per side. Transfer the chicken to a plate. Add the remaining 1 teaspoon olive oil to the skillet. 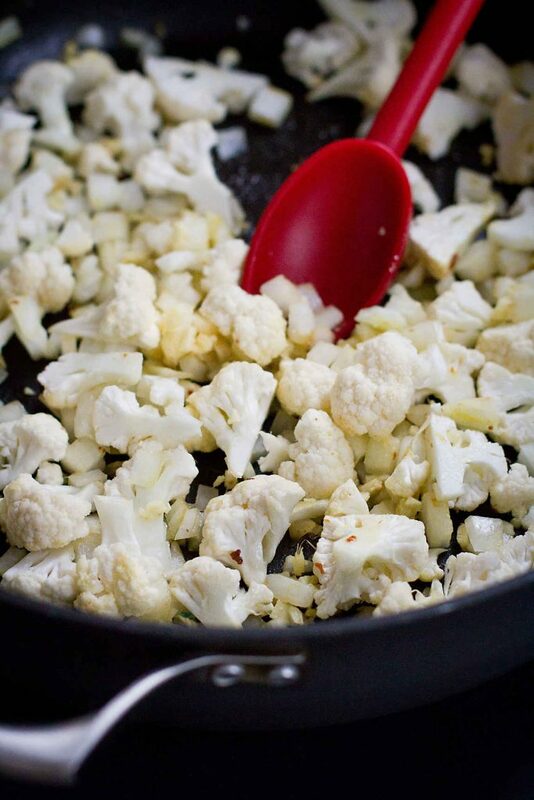 Add the cauliflower, onion and ginger, and cook until the onion is softened, 4 to 5 minutes. Stir in the remaining 3 tablespoons curry paste and garlic. Cook for 1 minute. To the skillet, add the quinoa, chicken broth and coconut milk. Bring to a boil, then cover and reduce heat slightly. Let the mixture simmer for 15 minutes. Nestle the chicken thighs into the quinoa mixture, adding any accumulated juices. Cover and cook until the chicken is cooked through and the liquid is absorbed, about 15 minutes. Transfer the chicken to a clean plate, remove the skillet from the heat and stir the spinach and parsley into the quinoa mixture, adding the additional ¼ cup of chicken broth if the mixture is dry. Serve the chicken with the quinoa and vegetables. Disclosure: This post is sponsored by Bob’s Red Mill. All opinions are my own. This post contains links to my Amazon affiliate page. Any revenue made from sales through these links helps to support this blog. Thank you! Yes, I love Bob’s Red Mill organic quinoa! Thank you for including my Sausage and Sweet Potato Quinoa in your round up of delicious quinoa recipes. Yum! I just can’t get enough cauliflower! This version looks awesome! This looks like such a hearty dish! Love that it’s a one pot meal! One pot meals are the best! Looks so good! What a fabulous idea! I think the texture of quinoa would be perfect in a curry. I’m loving that this is made in one pot!! Looks so amazing! This looks like a fabulous dinner idea. I love that it only needs one pot! I love the idea of quinoa and curry together. This sounds delicious, Dara! I fell in love with quinoa few years ago and I just can’ get enough of it. This has got to be made soon!! yum1! Dara, this looks like a perfect one-pot meal, and I love the idea of vegging it up. I try to add veggies to just about everything. Mostly because I think they make everything better. Also, you had me at Cauliflower- my favorite! I love quinoa but have gotten away from making it for some reason. This recipe has inspired me to make it again, I just love the cauliflower/curry combo! I made this with black quinoa. It was delicious with a spoonful of yogurt and cilantro! This was amazing! My husband wants me to make it every week! That’s awesome, Caroline! I’m so glad that you both enjoyed it.